Product prices and availability are accurate as of 2019-04-20 11:35:30 UTC and are subject to change. Any price and availability information displayed on http://www.amazon.com/ at the time of purchase will apply to the purchase of this product. 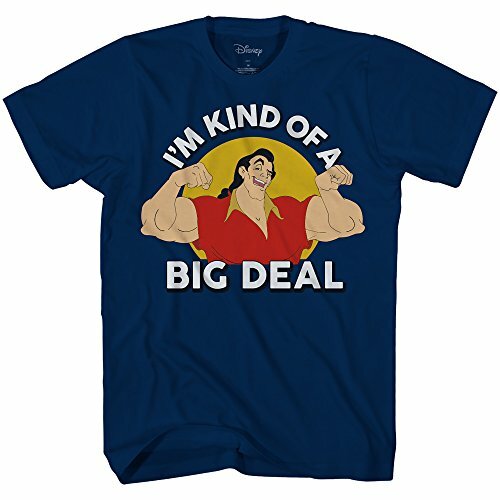 This tee is perfect for any Disney fan! This quality print will be the highlight of your t-shirt wardrobe! Officially Licensed by Disney Adult Men's Sizes, Navy Blue 100% Cotton Machine washable: Machine wash warm inside out with like colors. Tumble dry medium. Perfect for Beauty and the Beast fans!